Since 2004, Lorenzo Calvio (aka Audio Instinct) has artistically expressed himself as resident at Kitsch Bar in Milano (Italy), a place where he draws on his musical creativity. 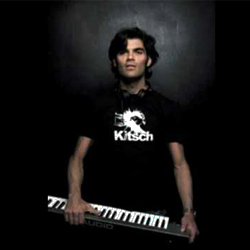 Now, fresh to Milan's club scene, his sets and production releases blend deep, electro, minimal, and tech-house styles. In his three years musical career as producer, he has already released tracks with Tanzbar (DE), Apparel Music (UK), Soundmen On Wax (NYC/USA), Loco Records (PL) and Music Taste Records (CO). As a long-time admirer of Harley&Muscle, Audio Instinct has completed his first LP release with the H&M family, and is pleased to collaborate with two leading pioneers in the music industry.